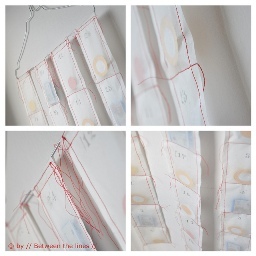 I love this Advent calendar that Pascale from //between the lines// made! She created the unique design as a last-minute project. Strips of parchment paper are sewn together to make pockets. Each day, you cut off the paper pocket to get the treat inside. Get the tutorial to read how she did it.